An access panel in plastic. Enable quick and easy access to concealed equipment and utility lines. Our panels can be wall or ceiling mounted. 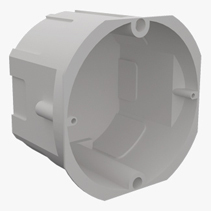 This cone vent comes in different sizes, to match the duct used, and the air flow is adjustable: the centre part is rotated clockwise or anti-clockwise to open or restrict airflow. It comes in a white colour. It comes in different sizes, to match the duct used, and the air flow is adjustable: the center part is rotated clockwise or anti-clockwise to open or restrict airflow. It comes in a white colour. 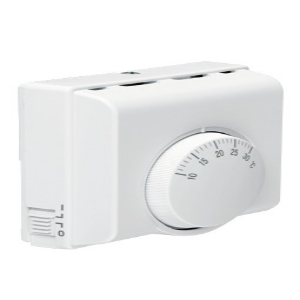 This simple thermostat is used to control the fan found in Heat Transfer kits and systems. It can be used in heat and cool applications by wiring the thermostat as required – Electrician Required for installation. The thermostat does not use batteries. It has a on/off switch on the side of the unit, so the fan is either always off, or controlled by the thermostat setting. It is usually placed in the same room as the heater so it will turn on the fan once that room is warm and the extra heat can be taken to other rooms. Once the temperature drops, because to much heat has been taken or the heater has been turned off, the thermostat will turn off the fan. The thermostat can be wired one of two ways. To either operate until the room reaches the preset temperature or to operate starting from the preset temperature. We usually recommend the latter, this ensures your room with the heat source gets warm enough before you transfer the heat to other rooms. For installation instructions and wiring diagram click the PDF symbol to the right. Add this product to your shopping cart if you wish for us to install a flex and plug to your fan. 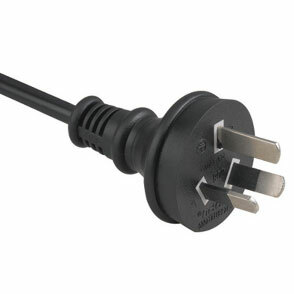 The cord on this plug in 1m (3 pin) in length. Add this product to your shopping cart if you wish for us to install a flex and plug to your fan. The cord on this plug in 1m in length. A flush built in mounted uint box for use with the VKM variable speed controller.